ORLANDO, Fla. – If Mike Soroka looks at all like he isn’t sure exactly where he belongs, it is only because he is right at home on both sides of the diamond, at least for this first week of October. When the Canadian Junior National Team arrived at ESPN Wide World of Sports on Friday, the 18-year-old right-hander immediately rejoined his old squad. He had just finished a full day of Fall Instructional League work with the Braves, the organization that selected Soroka as the 28th overall pick in the first round of this year’s draft, and the one that makes their minor league home at the Disney complex. The native of Calgary, Alta., was last with the Canadian team in May, matching up against Summer League prospects in the Dominican Republic, the finale of his two-year tour with the junior squad. Just five months later, he took to the mound to face his former team, throwing two scoreless innings against a young Canuck lineup in their first game on Saturday. It was different facing the guys he felt like he had just played with. Soroka matched up against Clayton Keyes, a friend from Bishop Carroll High School that he had never squared off against before. He struck out former Team Canada teammate Isaac Deveaux (Montreal, Que. ), and allowed a bunt single to 16-year-old Cooper Davis (Mississauga, Ont. 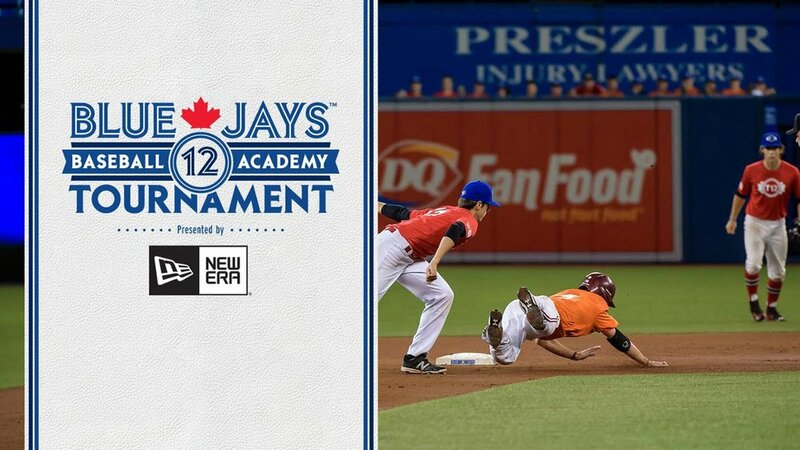 ), who he had seen at Tournament 12, the Blue Jays-hosted showcase bringing together the top talent from across the country. Soroka promised longtime Canadian teammate Andrew Yerzy (Toronto, Ont.) that he would give him a first-pitch fastball, and he delivered, making sure it was a low one, “and he pounded it into the plate.” The young right-handed hurler was unsurprised when Team Canada took an early lead against his professional teammates, allowing them to see for themselves exactly what baseball in his country is all about. “I didn’t want to talk it up too much because it was their first game out,” Soroka said. “I remember my first game with the new team and we really didn’t have that much success until two or three trips in, and then we started cleaning it up a bit. But I knew that it was going to be a decent game and they were going to come out and compete so I didn’t say too much to the guys. As he watched his former squad practice, Soroka switched back and forth between talking about the professional game and the Junior National Team, occasionally using the word “we” to encompass his position with both. Only a few months removed from his tenure as a junior ace, he quickly realized just how much of an advantage the program gave him. “That’s where I got a major head start, and so do these guys,” he said. “They get to see everyone, all of our guys go out, and I remember looking at my first trip and thinking these [pro] guys are really good. And they are, but there are just small things that separate them. Greg [Hamilton, Baseball Canada’s director of national teams] always talks about the separators. “One of the things that we work on as a pitching staff is still first-pitch strikes, and these are first, second, third, some fourth-year professional players, still working on the same things we worked on here [with the JNT] – getting ahead and commanding a second pitch. It’s not much different than what we do here and work on here. After facing professional competition during trips to spring training – even matching up against a big league lineup of Toronto Blue Jays – and extended spring training to square off against Gulf Coast League teams, the Dominican Summer League, and the Fall Instructional League, Soroka was right at home when he was assigned to the GCL Braves after the draft. After allowing just two runs over 10 innings with one walk and 11 strikeouts for the rookie-class Braves, Soroka was promoted to Danville, their affiliate in the Appalachian League. There, just after celebrating his 18th birthday to start the month of August, he allowed 10 earned runs over 24 frames, with four walks and 26 strikeouts, and the confidence he felt from his time with the Junior National Team went the distance with him. There were definitely times when the young pitcher felt behind before, and his time with Team Canada allowed him the opportunity to get so far ahead of the competition. It was a learning experience, experiencing real failure on the field for the first time, but being educated by that was what helped propel him forward. “Comparing myself to the guys last year in instructs, when I went out there and I got shelled by the Astros it shows you that you’ve got a lot of work to do,” Soroka said. “That’s going to happen to anyone; everyone. I don’t think there’s a single pitcher who’s ever played with Team Canada who hasn’t been ripped apart at one point. Just a year removed from that, Soroka is now in a position to offer advice to others who are in the same spot he was. Hindsight is 20/20 and if he can help the current squad see more clearly, he will. “You can never base yourself on a performance against people who should be beating you,” he said. “In a certain sense, you’re overmatched. It’s expected for the pro guys to go out and mercy them every game. That’s expected, so you shouldn’t expect yourself as a 16-year-old to have immediate or long-term success against people who have that many more years, that much more strength. Soroka knows it will be hard for the junior team players to take it easy on themselves, even with the knowledge that they’re facing a calibre of competition far beyond what they’ve ever matched up against before. But he hopes they can realize that they should lay it all on the line knowing that there is nothing for them to lose. “It’s kind of like going out against the Blue Jays, whether they’re in Low-A or Double-A or the big leagues, you’re expect to get beat so you’ve got nothing to lose,” Soroka said. “If you do well, it looks good. And if you do badly, it doesn’t look that bad. What other high school guy would be able to jump into pro ball and have immediate success? 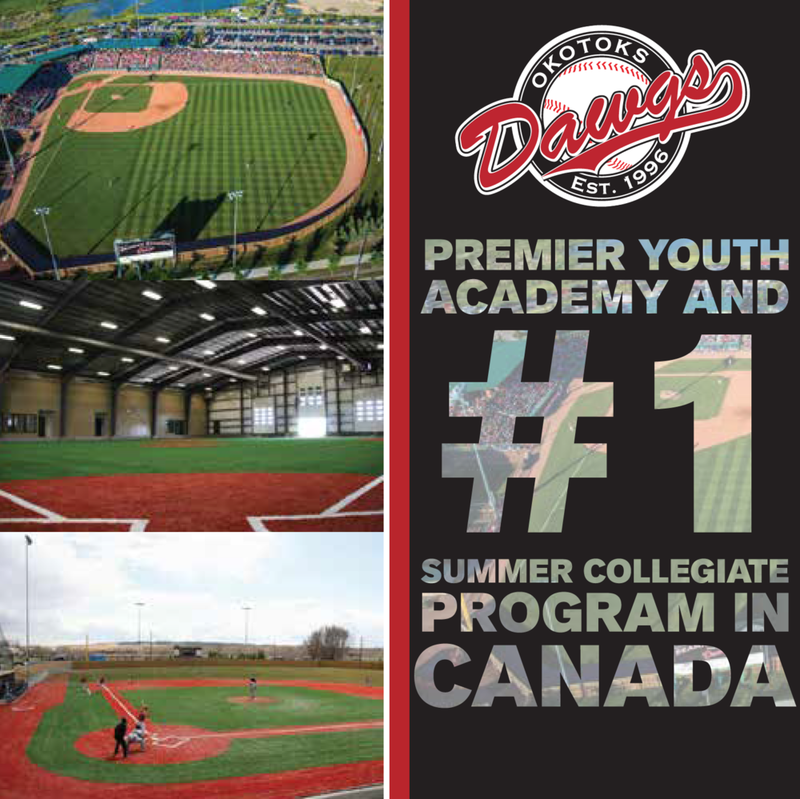 Through their 10-day trip to Orlando to play under the hot sun against a high calibre of baseball players, Team Canada’s newest crop of potential future stars are going to have successes and failures like they haven’t before, they’re likely to be tired like they’ve never been from the sport, and they’re going to get their first taste of what could be the future. And like Soroka, they might not realize how important some of the things they consider to be small could eventually be. “That’s what they need to do to focus on competing against the pro side, being able to hold runners, throw early strikes, command a second pitch, and at the plate see a little better, have a little better discipline, and same with fielding, just cleaning it up,” Soroka said. “It’s just doing it that much better at every level. “I mean, we’re still working on holding runners, and that’s one of the things I was applauded for because that’s what we do all the time when we come out here because Mike Johnson, Chris Reitsma or whoever is the pitching coach, they know that if we don’t work on the running game, most of us did not throw hard enough and our catchers weren’t fast enough to get anyone out when they were stealing. The top of the order would just be a track meet if we weren’t good at holding the runners. But for the younger players, Soroka is the older guy, the better player, the superior first-round pick of a major league team. He remembers how he looked at those guys, and even given a different glimpse for the last few months, he knows they’re still looked at differently everywhere, but he doesn’t believe they should be considered so different. “I see it from the other side now,” Soroka said. “Even in pro ball, from professional to another professional, the first-rounders are looked at. You can be the 41st pick, the last pick of the first round, and as soon as you cross over the 42nd pick, you’re a second rounder and it’s different, but you’re not much different. When he signed with the Braves, for just under two million dollars, Soroka felt a little bit like he was hitting the lottery. But not quite. The highlight of the summer was his first promotion, when Soroka really had his chance to prove that he was on that even ground, and he belonged up there with the rest of his teammates. The biggest difference, and one that will still take some getting used to, was leaving home. For the first time, Soroka realized that baseball is his life now and it comes first and foremost. He will continue to leave home for the majority of the year when the season begins and return only when it ends, making sacrifices along the way. And this is only the beginning. “The last week before I left [home for pro ball] was different,” Soroka said. “I knew what I was walking into, but at the same time, there is a certain uncertainty about going and playing for someone else and being on your own. Definitely one of the harder parts was leaving, leaving friends and stuff like that, because they still had the whole summer before college.